You are here: Home / Blog / HR Strategy / Just Be a Better Healthcare Consumer, Will You? Just Be a Better Healthcare Consumer, Will You? As healthcare woes continue for businesses and individuals alike, there’s growing sentiment from some benefits brokers that patients just need to become better consumers of healthcare. But there are others who realize it’s not that simple, and who are committed to shouldering some of that responsibility— and making a difference. Spend more time shopping around! Put as much thought and effort into looking for a surgeon as you do into looking for a car! Or a microwave! Or some other fill-in-the-blank item! Get recommendations on hospitals and doctors! Do price comparisons on procedures! Just be healthy to start with! Well, for lots of reasons. Including the fact that the current healthcare landscape makes it nearly impossible. When employees think about employee benefits, they see themselves as patients, not as consumers. And that’s a very different dynamic. Consumers have choices. And time. And alternative options. You’re not going to die if it doesn’t happen today. And you probably know a mechanic or two who can give you some pretty solid advice. You could also check out the latest Consumer Reports, which will provide extremely detailed information on which cars perform the best on every factor imaginable. Once you’ve decided what you want, there are all kinds of places you can go to make that purchase, and the MSRP and Kelley Blue Book values make it easy to know if you’re getting hosed or not. More importantly, if you don’t want to rush this purchase, you don’t have to. You can take the bus. Or carpool. Or get a Lyft. Now, let’s say your appendix goes out. It happens pretty quickly and you’re in extreme pain. And let’s be honest, it’s probably the middle of the night. 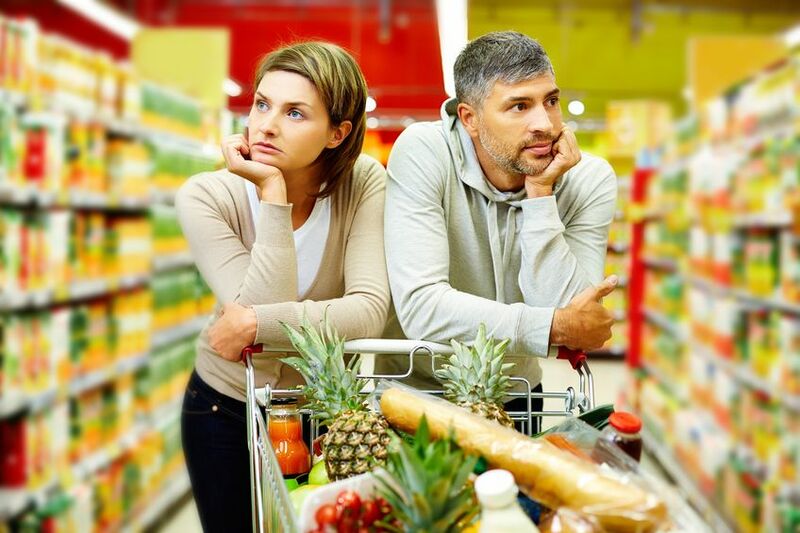 Decision making is impaired at best, and comparison shopping is out of the question. There’s one, maybe two hospitals in your area. No sense in getting a recommendation or asking how much an appendectomy costs. You’re stuck with the doctor on call— and whatever random price point the facility decides to set. What’s it based on? You have no clue. You can request an itemized bill after the fact, but you’ll have to jump through hoops to get it. And then what? There’s no option to get your money or your old appendix back. There is only an arduous battle over charges, coverage, networks, and payment plans. Patients are often at an extreme disadvantage, even when they don’t need emergency surgery. The system isn’t set up to be patient friendly. It’s set up to be profit friendly. Have you ever tried to shop around for a doctor? There isn’t much to go on. Personal anecdotes from friends, relatives and the Internet— where we all know everyone is super reasonable. Go ahead! Try to come up with a Consumer Reports style matrix with physician and hospital ratings, success and failure rates, accurate pricing, and comprehensive data based on specific experiential factors. An experienced employee benefits broker may be able to gain access to these kinds of numbers, but the typical healthcare consumer is straight out of luck. Navigating the healthcare system is nebulous at best, nightmarish at worst. Medical charges are based on a variety of factors that patients have little control over or even knowledge of: Contracts between doctors and hospitals, hospitals and drug stores, drug stores and pharmaceutical companies, employers and insurance providers, insurance providers and care providers, and the list goes on. Plus, there’s that little thing called the Chargemaster, a comprehensive collection of prices for everything from alcohol swabs and IV bags to spinal surgeries and heart transplants. But not only is this critical information not transparent or readily available to patients, it’s not based on actual costs. Plus, it’s not even standardized! Chargemaster pricing varies wildly from hospital to hospital. Long story short: Your average Joe or Jane patient does not have access to the information necessary to make rational healthcare choices and decisions. The doctor/patient relationship is not an egalitarian one. The patient is sick, scared, and in perhaps in pain. They have no idea what is wrong or how to fix it. The doctor has all the knowledge, experience, authority, and power. And yet somehow the frightened, confused, sick person is expected to take charge of the situation and become an informed consumer. How good are you at research, communication, and standing up for yourself when you have the flu? Probably not nearly as effective as when you’re well. Expecting patients to take charge when they are feeling most vulnerable isn’t realistic. Their reasoning and decision making have been compromised. They just want to be taken care of. They want to put trust in their doctors and caregivers, not question everything they do. If you’re lucky, you may be able to delay your elective surgery long enough to shop around. If you’re really lucky, you may have found a way access reliable information on the best place to have it done. If you’re exponentially lucky, you have all of the time and resources you need to be able to go to that place. The problem is that a lot of healthcare consumers don’t. Geographically, their options are limited. Physically, they can’t travel. Financially, they can’t afford to go to the next town or city or state. It’s quite possible they can’t even afford the visit they just had. In a perfect world, everyone would be able to shop and spend where it makes the most sense. But in the real world, there are a whole lot of people who simply don’t have that option. “Just be healthier!” can be valid advice, but it’s not the ultimate answer. The cold, hard truth is that even healthy people can become sick. Or get in a car accident. Or have a child with cancer. Sometimes, stuff just happens. Despite the best of intentions. Blaming sick people for the cost of healthcare may seem reasonable— until that sick person is someone we know and love. A patient is just one person. But a business is a group of people with more resources and leverage, and access to an employee benefits advisor who knows the system inside and out. Good brokers understand they can’t fix the problems at the core of the healthcare system. Great brokers know they have the power to inch their way toward making positive change within it, and for the organizations and employees they are helping. As an employer, you actually do comparison shop for healthcare. Every single year. And, you’re buying in bulk! This gives you a level of power that individual healthcare consumers don’t have. Use this leverage, and the knowledge of your benefits broker, to make choices that make sense not just for your business, but for those who need coverage and care. Working with the right broker makes all the difference here. You can choose a broker that focuses on plans and premiums, or you can work with an advisor who is committed to helping you create the right healthcare strategy for your business and the build best benefits plan for your employees. A quality advisor will also go the extra mile, helping to educate your workforce about the plan details, how to use it, and where to go for care— before they need it. The more your employees know upfront, the smarter choices they can make. People really do want to be better health care consumers. They just need the tools to do it. Let’s all work together to make it happen. https://www.scotthaileco.com/wp-content/uploads/2019/02/www.scotthaileco.cominsights.q4intel.comHealt-c7dedc73cd01b13438e69de4fa2d23ab44e1134c.jpg 565 848 Q4iNetwork & Partners https://www.scotthaileco.com/wp-content/uploads/2015/08/logo-300x76.png Q4iNetwork & Partners2019-02-07 04:00:002019-02-07 05:05:01Just Be a Better Healthcare Consumer, Will You?